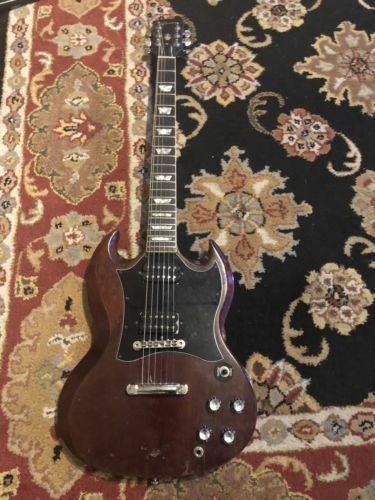 The body is a 1967 Gibson Body. I purchased it with the whole in the back electronics area. I liked the mojo and decided to not fix it. 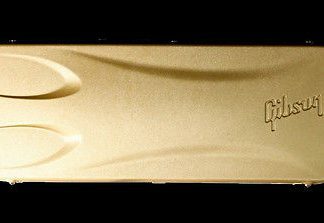 The pick ups are custom true PAF’s by wolftone pickups. 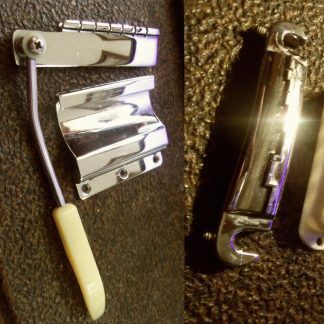 The hardware is a blend of Gibson parts and all parts. Mostly Gibson. I put a lot of money into getting it going. It’s a fantastic plying and sounding guitar. I just have way too many guitars right now and I’ve had my time with this one . It needs a new home:)i put over a thousand dollars into the pickups, hardware and set up. It’s a great price for a great classic guitar. You just can’t beat it!Frets are in great shape. 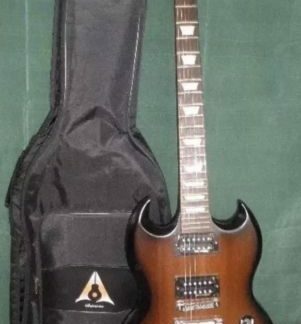 Comes with gig bag. 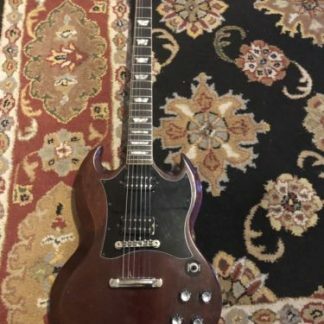 Gibson SG Special Faded Electric Guitar RARE!!! Ebony Fretboard! Cherry!!! !